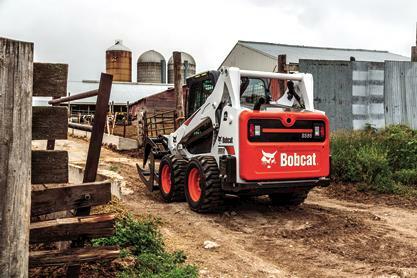 Highly maneuverable in tight spaces, Bobcat compact equipment is a natural on the farm – whether it’s working in barns, pens, between buildings or in tandem with other machinery. In this Q&A, Bobcat Company® product manager of loaders Chris Girodat taps into his farm background to share how ag producers can use attachments to get even more from their compact equipment. Q: Why are compact equipment and attachments a good fit for the farm? A: I grew up on a farm so I understand that you need more than just a bucket or pallet fork to get every chore done. Skid-steer loaders, compact track loaders, telescopic tool carriers and even Toolcat™ utility work machines are designed to handle a variety of attachments so farmers can complete multiple tasks year round with the same machine. A quick attachment change lets you move hay bales, muck stalls, dig fence post holes, mow overgrown pastures and more. Agriculture has been in our roots since 1947 when we started developing farm machinery and attachments. In fact, we made the world’s first compact loader for turkey farmers. While our equipment is used in a variety of industries today, agriculture is still an important part of our company. 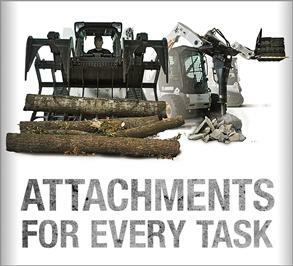 Q: How do attachments help with daily chores? A: With so much work happening on the farm, any way to save time ultimately means getting more work done at the end of the day. By adding the right attachment to a compact loader, telescopic tool carrier or the Toolcat utility work machine, you can make sure the work that has to get done, gets done efficiently and effectively. If you only occasionally require an attachment and ownership doesn’t make sense, consider renting an attachment from your local dealership. Q: How can farmers use attachments in the winter? A: Farm work doesn’t stop when temperatures plummet and the snow starts flying. Snow removal can become just another chore among the many already on your plate. 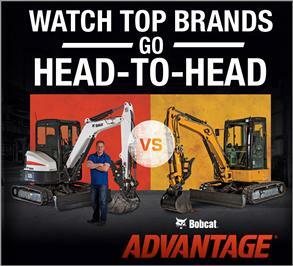 With that in mind, Bobcat offers a variety of attachments to help ag producers stay productive in the winter months. Bobcat loaders can be outfitted with a range of snow removal attachments – including angle brooms, snow pushers, snow blades, snow buckets or snowblowers – to keep long, country driveways clear of snow and eliminate drifts blocking storage sheds and livestock pens. A spreader neutralizes slippery surfaces by laying salt or gravel while a set of steel tracks allows skid-steer loaders to float across soft ground and muddy feedlots. Q: What attachments help with spring and summer work? A: Spring and summer are busy months for farmers, but you don’t necessarily need a separate machine for every chore. Spring means planting, including preparing gardens, nursery beds, food plots and small fields. The tiller attachment helps ready the ground for planting by tearing up clumps and hardened materials. A box blade can level out driveways routed up by the spring thaw or smooth out new gravel that has been dumped onto the lane. Use a grapple or bale fork to stack, rearrange or transport hay bales to hay feeders. Spring is also a good time to replace old and worn fence posts before releasing livestock into pastures. 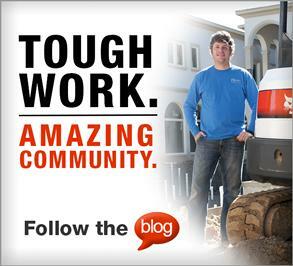 An auger attachment makes this task easy by drilling new holes as deep as almost 6 feet. Q: Wouldn’t it be quicker to just use separate machines for each chore? A: Thanks to the standard Bob-Tach® attachment mounting system on all Bobcat compact loaders and Toolcat machines, you can easily – and quickly – change attachments by manually lifting and lowering two easy-to-handle levers on the attachment mounting bracket. For added convenience, the optional Power Bob-Tach system allows operators to change non-hydraulic attachments with the press of a button from inside the cab. This technology lets you change a non-hydraulic attachment in a matter of minutes – all from your seat.